Stressed out at work? Are the pressures of the world getting you down? We guarantee relaxation with these complex Zen and anti-stress colouring pages for adults. The Harmony of Colour Series offers detailed images and patterns that are chosen by experts for their soothing properties. 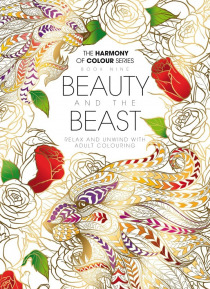 Be aware of the overall harmony of your colouring rather than focusing on each element individually. Try to balance… the colours so that they are a reflection of your emotions of the moment. If the colours of your page are in harmony, then your mind will follow! Now… grab your pencils or textas and de-stress… and don’t forget to share your creations with us on social media. Find Harmony of Colour on Facebook: www.facebook.com/harmonyofcolour. Follow us on Instagram: @harmonyofcolour. Please note: This is a digital replica of the print magazine and does not include a coloring tool. You will need to print out the magazine before coloring. Printing is available from PC/Mac, but is not currently supported for iOS, Android and Windows apps.